Thank you for listening to this recording. You can find more recordings on this topic here and on the YouTube Sunday Sample playlist. It was about 6:30 AM this morning. My customary prayer walk was taking me through Cassiobury Park and into the conservation area close to where I live. My mind and my prayers were centred on Psalm 130. All was well. Her face was contorted with worry. I could not say “no”. I had no idea how I was going to get a soaking wet heavy deer out of the canal. But I knew I had to try. 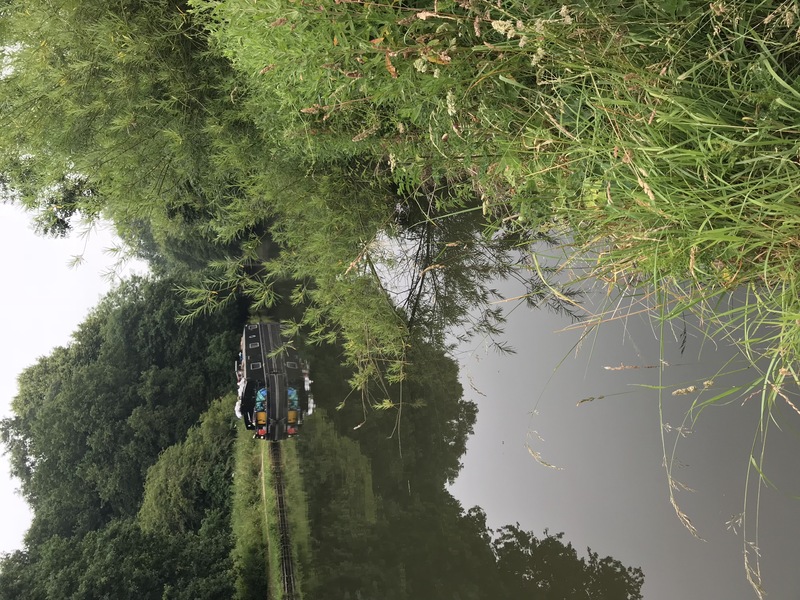 Annoyed, because she had interrupted my prayers and my walk, I trudged reluctantly into the undergrowth between the path and the canal. Soon I was surrounded by stinging nettles. I was wearing shorts. Not the best combination. 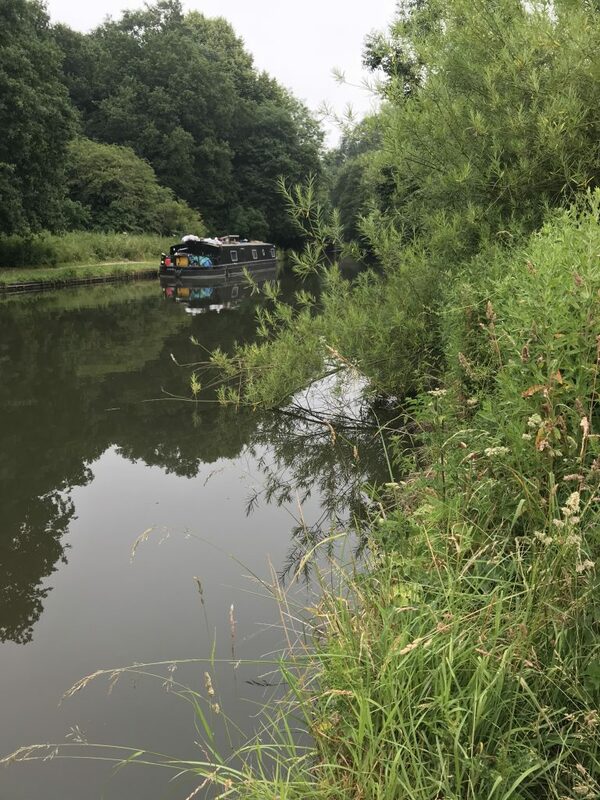 After multiple stings, I reached the canal bank. Now even grumpier. No deer in sight. No sound of a deer. No sign of a deer. The lady shouted at me through the undergrowth, “It looks like it got out. Thank you for trying.” I fought my way back through the stinging nettles to the path. Fully fed up now. Interrupted prayer time, interrupted walk, fruitless search, throbbing calves. The Psalmist wants to praise God. He has experienced God’s life-sustaining teaching. Yet he is aware of his tendency to stray. Many other Psalms talk about seeking God. But I love this verse. It is a plea for God to seek his servant. 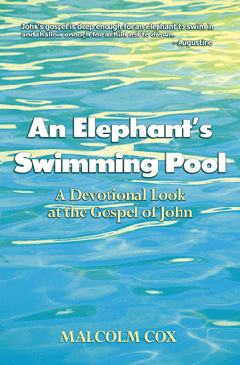 In this wonderful parable, God is portrayed as the seeking Shepherd. The master of the flock is not grumpy about the effort, annoyed at the time involved, bothered about being interrupted, nor reluctant to seek. I have to confess that some evil thoughts went through my mind about that deer. If it was stupid enough to fall into the canal it deserved what it got. No, I know that’s not the right attitude. Sorry. I’m so glad that God is not like me. I hope that deer did get out of the canal. As far as I can tell it did. What a relief. How much more of a relief it is that God doesn’t treat me as I deserve. He seeks me out to rescue me, take me home, and – He rejoices all the way. When you pray, do you reflect on the seeking nature of God? Could you meditate on Psalm 119 and Luke 15 in your next prayer time? What helps you to be grateful for the seeking Shepherd? What else can you think of / have you seen? 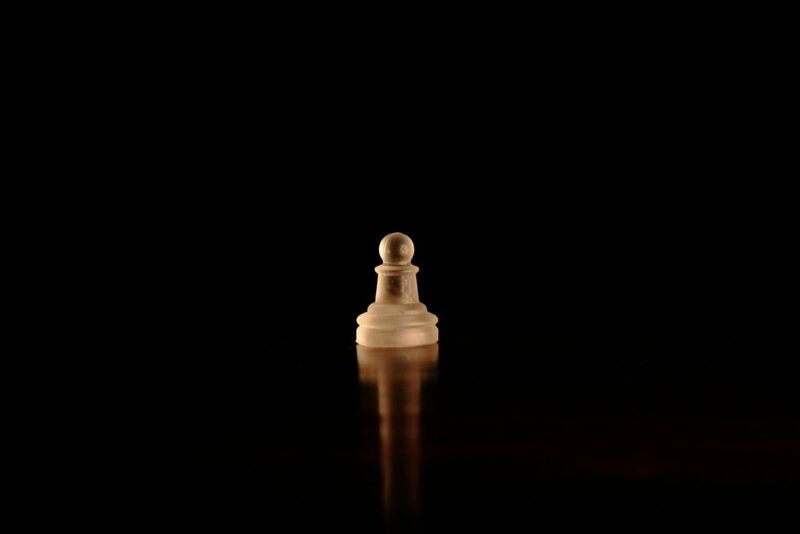 Is it possible to be surrendered to God’s will without feeling like a pawn? I bring you a sixth look at the book by Richard Foster, “Prayer: finding the heart’s true home“. In the most recent chapter I’ve been reading, Richard talks about the significance of the prayer of relinquishment. Richard quotes Andrew Murray, “..union with God’s will is union with God himself”. That being the case, how can we afford not to pray the prayer of relinquishment? In other words, the prayer that says, “not as I will, but as you will.” (Matthew 26:39 NIV11). Easy to say. Not so easy to do. And even harder to mean it. This week we explore why the prayer of relinquishment is so important. We will discover the correct motivation for the prayer. Next week we will look at how to practice the prayer of relinquishment. Thank goodness for the example of Jesus! The Scriptures tell an interesting story – if you are called by God, you will struggle with God. Jesus is the ultimate example, but what about Abraham, Moses, David, Mary, Paul? They all struggled with God’s will for their lives. But, when they came to a place of relinquishment, they discovered that God’s will was better and more glorious than the choice they preferred. When we struggle, and submit to God’s will, and discover his wisdom, it gives us hope for the next struggle. Because there will be another struggle. It’s how we grow. It’s how God gets his will done. It’s how God makes sure he gets the glory instead of us. But even though he gets the glory, we get plenty of joy. We don’t have to pray the ‘right’ prayer, we just need to pray the relinquished prayer. Such a self-death brings us the freedom of self-forgetfulness which does not negate a person but sets us free to become all that we can be in Christ. “It is no longer I who live, but it is Christ who lives in me. And the life I now live in the flesh I live by faith in the Son of God, who loved me and gave himself for me.” (Gal. 2:19–20). What a blessing it is to arrive here. A place of contentment, free from anxiety. Do you have a prayer of relinquishment which needs to be prayed? In which areas in life right now do you sense a struggle? Have you prayed the prayer of relinquishment in those areas? How do you feel about praying such a prayer? What holds you back from doing so? How can we avoid dull repetition or creative confusion when talking about the Lord’s supper? This is the fifth in a series looking at different views of the atonement as a way of broadening and deepening our appreciation for the cross. Today we study Paul’s teaching on the Lord’s Supper in 1 Corinthians 11 to help us understand the meaning of the communion. We explore some tips on how meaningful communions are constructed and on what they are best focussed. What are your thoughts on how we can make the communion talks biblical and relevant? How we do it and what we emphasise? Next week: an interview with Simon Dinning of “prepared to answer” podcast – look it up. B. What are we to proclaim? C. What are we to practice? Because: remind why taking bread and wine. Confirm at end of talk or during prayer. Are you jealous or curious? Guilty or curious? Is anything stopping you from living life with curiosity? What gets in the way of being curious about spiritual matters? We explore this topic with the help of an incident recorded in Acts chapter 5. You can find more videos on my YouTube channel. Hazel Bridges reached out to me and sent this article about dealing with the loss of a spouse. I thought her suggestions and observations might be helpful to my audience. If you’ve been through this experience you will know what it is like. Even if you haven’t, you probably know somebody who has. Reading this article will give you a better understanding of the challenges faced by those who have lost a spouse. Hazel Bridges is the creator of AgingWellness.org, a website that aims to provide health and wellness resources for ageing seniors. She’s a breast cancer survivor. She challenges herself to live life to the fullest and inspire others to do so as well. Has your spouse recently been diagnosed with a terminal illness? This is one of the hardest things in the world a senior can go through — the idea of going through life without their spouse. Understand that when your spouse passes, you’re going to go through a long grieving process that may bring up various emotions you’re not used to feeling. Know that this is normal, and you’re going to be OK. We’re here to help you get through the spouse-loss journey. Keep the bedside toilet hidden behind a screen. Use familiar bedding and decorative pillows on their adjustable bed. Store small pieces of medical equipment in a decorative basket that will look more appealing and organized. Once your spouse passes, remember that there is no set time that you’re going to grieve. It’s different for everyone and you just have to give yourself time to feel their loss. During the grieving period, different types of emotions may come up that you’re not used to. You may also find it difficult to make decisions, and if you have loved ones looking after you, let them know this. Beware of triggers that may set off your grief, such as wedding anniversaries, birthdays or first date spots. If you feel guilt over activities you participate in due to your spouse no longer being with you, know that this is normal. Acceptance will finally follow shock, anger and denial if you give yourself time to heal. If you have loved ones that can assist you through your grieving period, it’s best to reach out to them. You don’t have to do this alone. You can also sign up for some online courses to help you get through this difficult period in your life. 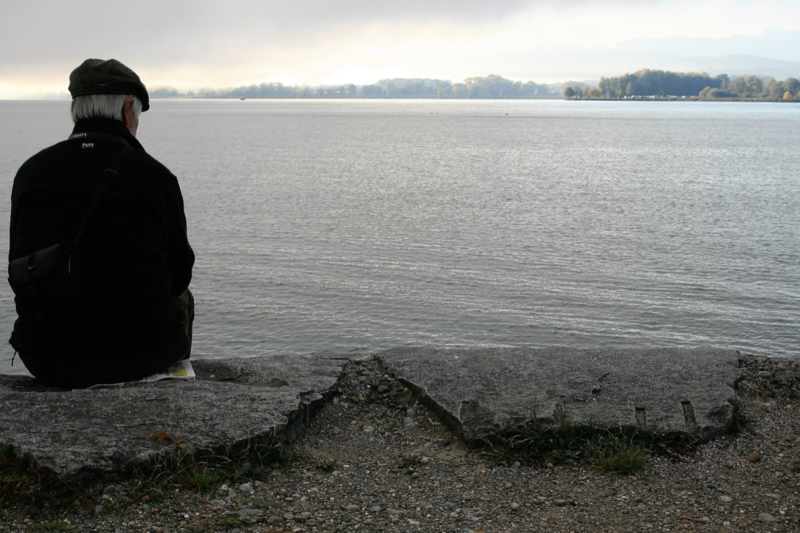 There are online courses out there specifically designed to help seniors get through the spouse-loss journey. Reading stories about others who have gone through something similar may help you get through this a little easier. There are also support groups in your community that can help you understand the emotions you’re feeling and how to overcome them. When some seniors experience the loss of their spouse, they decide to move out of their home and into a senior living community. This can help you move forward with your life because your home may bring up too many difficult memories. If you don’t want to move, just start examining your life and how you can live in it without your spouse. Be open to meeting new people and new experiences you can enjoy. Whether that means participating in new social activities or regularly scheduled phone calls with old friends. Remember that you’re not forgetting your loved one, you’re simply getting yourself to a point where you can remember them in a way that’s not holding you back on living your life. 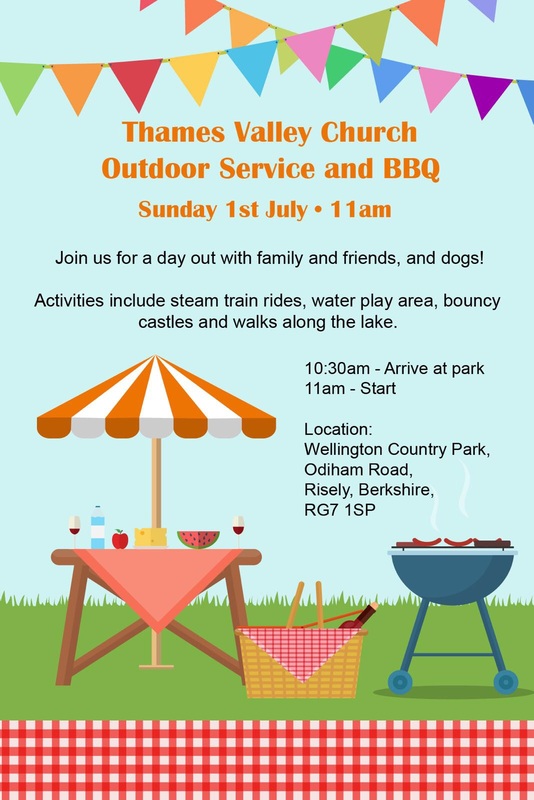 I’ll be speaking at the annual Thames Valley churches of Christ outdoor service and barbecue. It’s always a very special and fun-filled event. I hope you can make it. Message me if you would like more details.